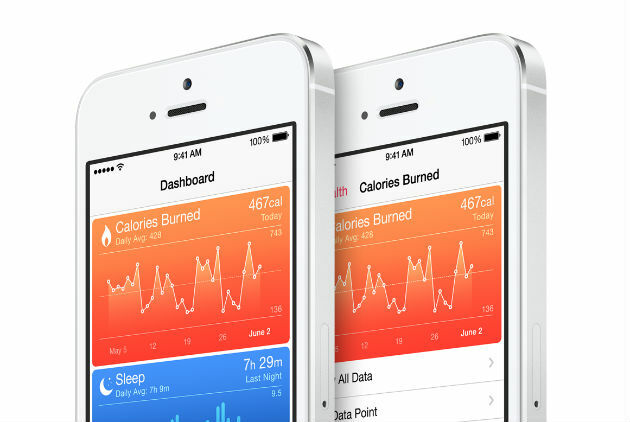 Along with the unveiling of the much-anticipated iPhone 6 and iOS 8, Apple will soon be unveiling a new health app called HealthKit. The new operating system will allow other health apps to hook up to the HealthKit app so that the user may manage and monitor their health metrics, such as weight, caloric intake and blood pressure. Because many users are currently using different apps to monitor individual aspects of the health, the HealthKit app would provide the user with the convenience of being able to store all of their wanted health information in one place. According to Forbes, Apple has been in talks with the Mayo Clinic, Johns Hopkins and Mount Sinai, among others, to develop apps that connect to the HealthKit. In addition to collecting information via other apps, the HealtKit app will also be able to collect information from smart health devices, such as wireless body scales, fit bands and blood pressure monitors. The final way the HealthKit will be able to gather information about the user is through the iPhone sensors. The iPhone 5s currently has the M7 motion co-processor that estimates calories burn based upon metrics input by the user. Apple is expected to rollout more sensors in future versions of the iPhone in order to make the collection of data more automated. The HealthKit app will be essentially an empty vessel for the user to fill with their electronic health records. In order to connect the app to these electronic health records, Apple has partnered with Epic, the electronic health record company in control of over 40 percent of the EHR market. This partnership with Epic could help Apple become a healthcare data hub, something Apple has tried in the past and failed. Due the popularity of the iPhone and the influence of Epic, if the HealthKit app and Epic's app — MyChart — share information, the data could become useful for doctors and hospitals in treating patients more effectively. Apple also plans to share user health information with insurance providers, freeing them of the hassle of submitting information by automatically sending it to their provider, which also opens the doors to misuse by the insurance provider. If providers see that the user is not meeting certain health standards, they could deny the user coverage based on HealthKit data. Plans for how this data will be shared with doctors are currently unspecified since Apple will have to find compliance with current Health Insurance Portability and Accountability Act (HIPAA) laws. But Apple's influence on Capitol Hill should make navigating the legal waters an accomplishable task. Apple has been consulting lawyers and healthcare experts to ensure that the healthcare providers — not Apple — are the ones subject to the HIPPA regulations. If the app is successful, it will establish Apple’s role as a serious player in the mobile healthcare industry. The data will not be stored in the actual app but rather in iOS — a smart move by Apple to lock the user in to the new platform and give more value to Apple products. Once Apple pushes out the free iOS 8 upgrade, the iPhone 4 or newer, iPad 3 or newer, iPad mini and fifth-generation iPod touch or newer will all be able to support the app.